Yes, the rains have returned, the temperatures are dropping but visions of driving at the track are still fresh in our heads; well at least they are in my mind. TRAKCAR is having to suffer the indignity of living outside in the rain until we rearrange some storage situations. I have plans for some suspension refreshing and interior repairs over the winter months. You too should be thinking about next driving season: what improvements to do, what to repair, what safety modifications should be done. Regardless of the weather, you all should be applying the lessons learned on the track and at the car control clinics. We emphasize vision, hand position, throttle control, and track/road position of your car. These translate directly to the street as you have heard all of the instructor corps harp about. We are serious about this and I know many of you practice this daily, especially the road warriors out there. If you find yourself in some situation that caused you to take evasive actions that was learned on the track or at a car control clinic, let me know about it! The 2019 track season is now firmly in place. 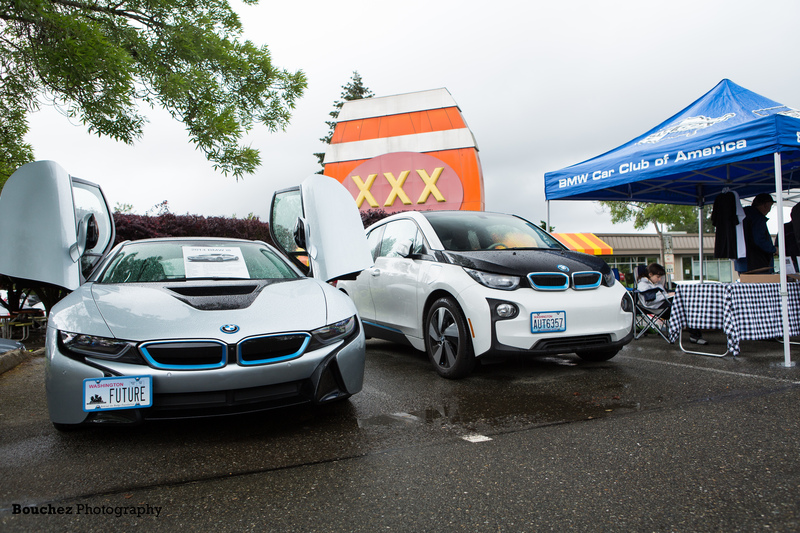 We will be holding four Friday events at Pacific Raceways: May 17, June 7, July 12, and August 23. We will have one day at The Ridge Motorsport Park on September 15 which is on a Sunday. You can put these dates on your calendar as they are set in stone. We are planning a day at Oregon Raceway Park probably the second week of October. This will be in partnership with one or two other clubs and be open to solo drivers only. See ATS and the website announcements later next year. 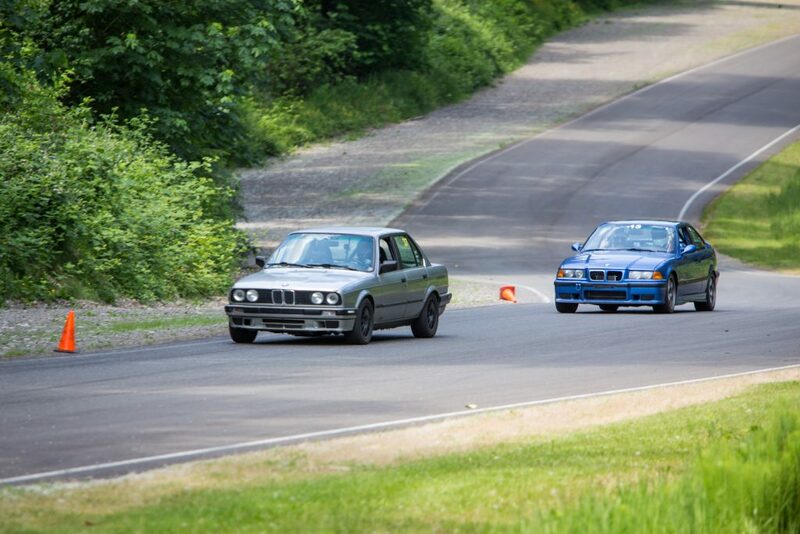 We are also working having a track day with the Oregon Chapter at Portland International Raceways. A date and the specifics of this event will be coming. So, as you can see, there will be plenty of opportunity for some track time in 2019! What to do in the off season? Good question and I am glad you asked. Read and learn stuff. Full disclaimer: we do not have any financial relationship with Ross Bentley. However, we do have a philosophical bond about the fundamentals of driving and driver preparation he writes about. Find his books and subscribe to the “Speed Secrets” weekly email blast, it is only $12/year-you spend more on coffee per week! Ross’s recent book “The Lost Art of High-Performance Driving: How to Get the Most Out of Your Modern Performance Car” is a really good read. TRAKCAR is now a dinosaur out on the track, only four cylinders, no traction control, primitive ABS, built in 1991 (E30 318is), and the driver is older! Drive! Just go out and drive your car like it is meant to be driven. BMW engineers do not make toasters, they make the Ultimate Driving Machine! Your car will not melt in the rain, there is little to no salt on the roads (unlike the Midwest and East), and a little dirt will not hurt it. So, drive it! Go karting indoors. If you would like to continue to hone your driving skills, then do some indoor karting. There are several indoor tracks in the area. It is a lot of fun and if some wants to organize a karting night, let me know. For those of you who are reading all about this track stuff and thinking that “I can’t drive on the track without getting a lot of racing stuff,” you are completely wrong! There is no barrier to taking your BMW on the track, period. Yes, it must pass a technical inspection and you will need a SNELL rated helmet 2010 and newer, but that is it!! You do not need: racing tires, race brake pads, a fire suit, a roll cage, a 6-point harness, racing seats, or a fancy stripe painted down the center of your car. What you do need is an open mind to learning something completely new and most importantly, have a lot of fun doing it. We keep writing this and will continue to do so until everyone believes me! There is a group of motivated, profoundly competent instructors who are ready to coach you on the art of high-performance driving. Take advantage of these coaches to improve your own driving skills. Come out to the track! What will this all lead to, perhaps some racing might be in your future. Many of the drivers that move up the ranks from novice to solo drivers go on to race in one of the many series that are available here in the Puget Sound area: SCCA, SOVERN, PRO3, ICSCC to name a few. So, as you can see there is something for everyone. Sometimes, advanced drivers go on to become instructors, the people you see wandering around the paddock in yellow shirts and in the right seat of cars. We have a specific program for becoming an instructor and frankly it is not trivial. The ability to sit in the right seat and coach a driver whom you might have never met before, is not an insignificant skill. We welcome new instructor candidates, contact Mitch Delabarre our Chief Driving Instructor or me if you are interested. 2019 will be a great year for driving, dry warm track days with lots of grip and extra horsepower. At least that is what I am hoping for in my dreams! Put the dates on your calendars and plan for a really great driving season!